We often find ourselves taking on interesting jobs and this time was a chance to fit some of our Shutters to a Shed Games Room in West Dulwich, London. Our bespoke shutters have completely transformed this once ordinary looking shed into the perfect games room for friends and family to enjoy! The client required shutters for not only the shed windows, but also the door. We are able to custom build our shutters for windows and door openings, while also matching the style and finish. As you can see the shutters work perfectly with the interior, with full access to the door handles using a French door cut out without losing control of the louvres. Our Sumatra Range of shutters was used in full height for the windows and full height with a mid rail for the doors, which is needed for stability due to the height of the doorway. The shutters were finished in a French oak stain finish which is a perfect match for the shed, completed with antique brass hinges which works very well with stain finishes. 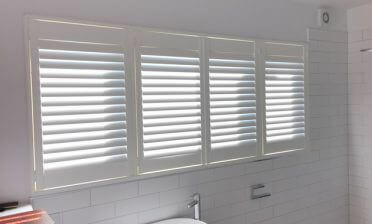 The louvres are nice and thick 89mm complete with tilt rods for easy operation. 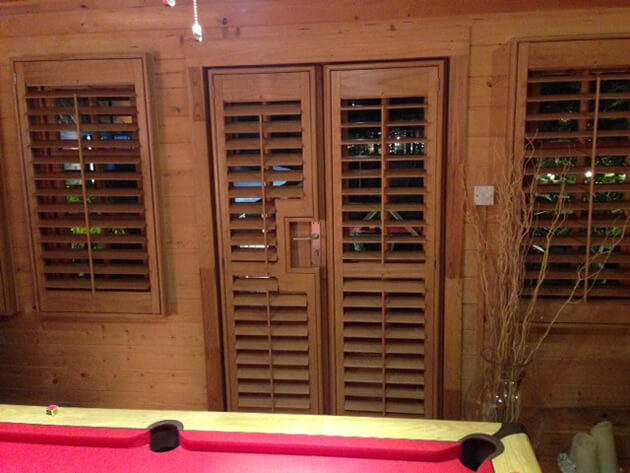 Having these shutters in the games room allows for complete flexibility and security all year round. 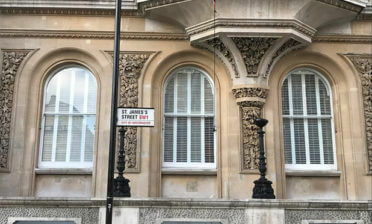 In the warmer months the shutters can be adjusted or fully opened for maximum light and air flow, whilst also working as a natural insulator in the colder months. 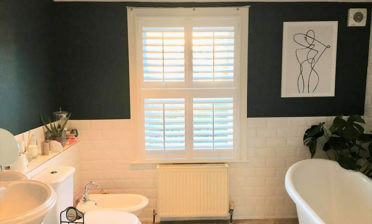 The shutters also act as another layer of security and privacy when needed.